Forewings of adult Isabella tiger moths are yellow or tan, pointed, and often have faint lines and small dark spots. Hindwings are lighter and are orange in females. The bases of the forelegs are reddish orange. Adult Isabella tiger moths usually rest with the wings held rooflike over their bodies, or else held flat out to the sides. The forewings are yellow or tan, pointed, and often have faint lines and small dark spots. Hindwings are lighter and are orange in females. The bases of the forelegs are reddish orange. The larvae of this species are better known than the adults. Called “woolly bears” or “woolly worms,” they are fuzzy with dense, stiff hairs. They are usually black on the ends of the body and rusty red or brownish in the middle. When disturbed, they commonly roll up in a ball. Note that touching the bristles can cause dermatitis in some people. There are about 60 species of tiger moths in Missouri. Caterpillars of the Isabella tiger moth are the famous “woolly bears” or “woolly worms” that people use for predicting winter severity. There's no truth to the tale that you can forecast how long winter will last by the brown band on a woolly bear's back. Tiger moths are often attracted to lights at night. Based on the caterpillars’ wide range of food plants, this moth could be found almost anywhere that plants grow. In the autumn, woolly bears are commonly seen crossing roads as they search for sheltered places in which to overwinter. Larvae feed on a wide variety of plants, including maple and elm trees, grasses, sunflowers, clovers, and more. Adults fly from early April through September. 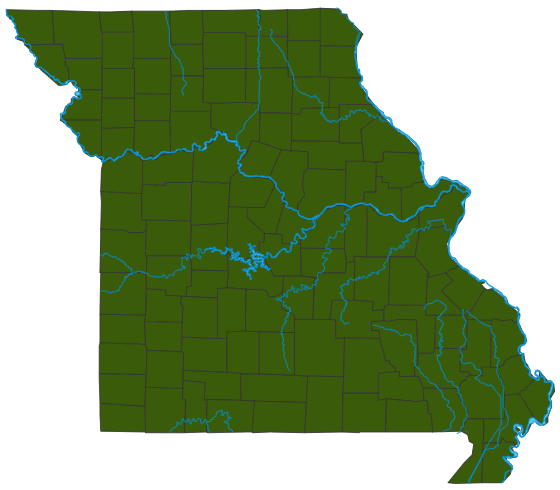 There are two broods in Missouri. Isabella tiger moths overwinter as full-grown caterpillars and have a remarkable capability to withstand freezing temperatures. They pupate within cocoons made from their hairs and emerge as adults in the spring. Several “woolly bear festivals” are held in towns across America. These help local economies and build a sense of community. Folklore has long maintained that the varying widths of the caterpillar’s bands are useful for predicting the harshness of the next winter, adding to this animal’s mystique. The caterpillars are herbivores that graze on vegetation. They, like many other moth caterpillars, can be parasitized by wasps that lay their eggs on them and eventually kill them. The adults don’t live very long, but they too can be eaten by predators ranging from spiders to bats.